First we had engagement, data and analytics to work with. This data gave us so much insights about our clients’ brands and their fans that we simply had to use it for advertising. And today, there is no other Ads company that has so much information as we do. Facebook advertising means you can send ads to your future and current fans. Not just any fan but to precisely targeted people based on what you already know about your existing fans. Facebook advertising is like Formula 1 racing. Existing Ad tools are like racing teams just hitting the road. Full speed ahead and hoping to win using pit stops to find the optimal settings for their driver, the car, the tires, the fuel mix etc. These pit stops will cost about 30% of your budget. Our Facebook Advertising is like a Formula 1 team starting it’s race completely fine tuned and optimized for the goal ahead. All gear, technics, fuel and specs are set up before start. This will save you 30% fine tuning costs. Or in other words: all of your budget will be used effectively. Instead of spending your media budget, start investing it with just one goal in sight: conversion. Measuring conversion is critical for optimization of your investment. Media Injection’s Ad platform offers groundbreaking online and offline conversion tracking. 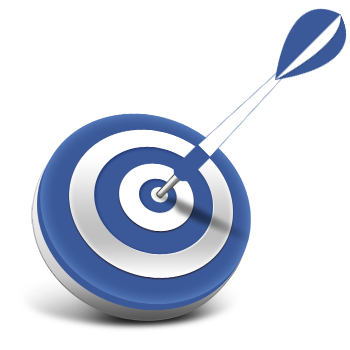 Using our propriety technology will enable you to go as far as to measure the effectiveness of your Facebook Ads campaign all the way to your physical retail stores. Using Media Injection’s CRM integration features you’ll be able to even further optimize future ad campaign conversions and finally close the circle between online media spend and offline conversion paths. With years of experience in behavioral analysis and CRM data storage Media Injection takes Facebook advertising to the next level. Combining all of this historic knowledge with actual data from more than 100 semantic data sources this increases chances for finding the optimal settings for your campaign tremendously. If you find yourself and your team struggling to understand all statistics from your previous campaigns and how to use these insights to optimize your next campaign, Media Injection has the solution for you. Using semantic database technology our platform can process millions of possible relations and connections per second. If there is a key to your success, we can find it!